Exhibitor Expo featuring the latest organizing and time management products and services. 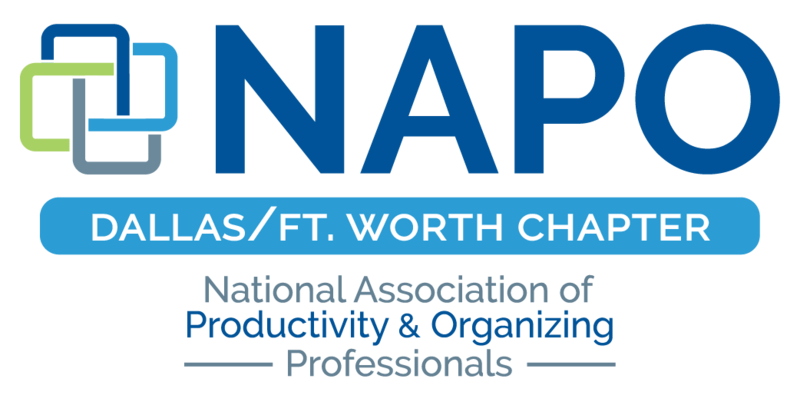 NAPO is proud to announce that NAPO2019 will be held at the The Worthington Renaissance Hotel Fort Worth from April 4-7, 2019! February 16, 2017 Screening of "Minimalism: A Documentary About the Important Things"
December 15, 2016 Members Only Holiday Party! November 17, 2016 Jewish Customs & Considerations: Featuring Kosher Kitchens! January 30, 2016 GO "Get Organized" Month Event at Ikea! October 27, 2015 Organized Coffee Talk! 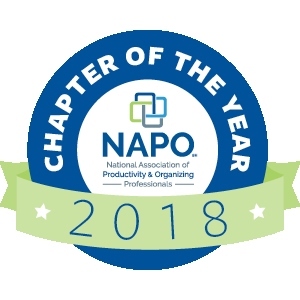 May 21, 2015 Chapter Meeting: Conference Highlights & New Year Kickoff! March 19, 2015 Chapter Meeting: CAM Night! January 17, 2015 GO Month Event at Ikea! July 17, 2014 Annual Member's Only July Social! March 28, 2014 Organizer Round Up Day with Ellen Faye! February 27, 2014 Show & Tell! January 17, 2014 GO Month Event at Ikea! October 02, 2013 Organized Coffee Talk! August 29, 2013 Organized Coffee Talk! July 25, 2013 Members Only July Social Event! June 24, 2013 Organized Coffee Talk! May 23, 2013 Chapter Meeting - Conference Highlights! January 26, 2012 TO BE or NOT TO BE an LLC... is That the Question For You? October 27, 2011 How to tell if your clients are "Chronic Hoarders"
August 25, 2011 Back to School Days or Daze? October 28, 2010 NAPO-DFW Presents: The 2nd Annual "Organizing for the Holidays!" September 23, 2010 Serving with Your Local Chapter: Get Involved with NAPO-DFW!